The entries on this page have been compiled from a variety of sources. However, the bulk of the citations are from Index Translationum: International Bibliography of Translations, published by UNESCO. E1.1. Toisen kuolema. Vaasa: Vaasa Oy, 1966. (Manhattansarja 28) 200 pp. Translated by U. Maajärvi. E2.1. Trois tondus et un pelé. Paris: Gallimard, March 1950. (Série noire 51). Translated by Henri Robillot. E2.5. Ases y asesinato. México: Editorial Cumbre, 1952. 200 pp. Translated by Juan Gutiérrez Aldecocea. E3.3. Whit wundert sich : Kriminalroman. Stuttgart: A. Müller, 1955. [1.-4. Tsd.] (A.M.-Auswahl Bd. 122) 192 pp. Translated by Werner DeHaas. E6.2. Vater fliegt ins Blaue : frohe Jahre in Guatemala und Honduras. Stuttgart: A. Müller, 1955. [1.-5. Tsd.] 246 pp., ill. Translated by Werner DeHaas and Hanna Richter. E7.2. Tragico ritorno. Milano: A. Mondadori, 1995. (I classici del Giallo Mondadori 733) 158 pp. Translated by Antonietta Maria Francavilla. E9.3. Vater und sein Vogel : zwei glückliche Jahre in Peru und den peruanischen Anden. Stuttgart: A. Müller, 1956. 245 pp., ill. Translated by Ursula von Wiese. E12.6. Le Chat sucht Le Chat. Stuttgart: A. Müller, 1954. [1.-4. Tsd.] (A.M.-Auswahl Bd. 110) 200 pp. Translated by Elisabeth Schnack. E12.8. Über den Dächern von Nizza : Roman. Zürich: Diogenes, 1990. (Diogenes Taschenbuch 21865) 259 pp. Translated by Elisabeth Schnack. E12.9. Caccia al ladro: romanzo. Milano: C. Del Duca, 1955 (Tip. Tecnografica Milanese). (Il calabrone 3) 323 pp. Translated by Sergio Monteverde. E12.10. Caccia al ladro. Milano: A. Mondadori, 1994. (I classici del Giallo Mondadori 709) 223 pp. Translated by Antonietta Maria Francavilla. E12.19. 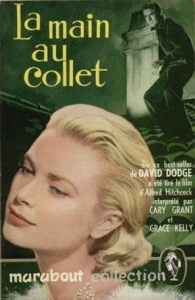 La main au collet. In Sélection du livre. Autonomne 1955. Volume 4. Paris: Sélection du Readers digest, 1955. 504 pp. E12.20. La main au collet. In Les romans qui ont inspiré Hitchcock, 3. Paris: Librairie des Champs-Elysees, 1998. (Les intégrals du Masque) 894 pp. E12.21. Le Chat sucht Le Chat. In Vorsicht! Hochspannung : Fünf kurzgefaßte Kriminalromane. Stuttgart: Verlag Das Beste GmbH, 1962. 571 pp. E12.22. Caccia al ladro. In Lincubo secondo Hitchcock. Milano: A. Mondadori, 1995. (Oscar narrativa) 468 pp. Translated by A.M. Francavilla. E12.23. Ta fast tjuven. In Det bästas bokval. Stockholm: Readers Digest, 1956. 516 pp. E15.5. A bordo del Angel. Barcelona: Planeta, 1968. (Colección Alcotán 157) 250 pp. Translated by Juan G. de Luaces. E15.6. A bordo del Angel. Barcelona: Planeta, 1969. (Colección Alcotán 157) 249 pp. Translated by Juan G. de Luaces. E17.1. Uppdrag i Barcelona. Stockholm: B. Wahlström, 1962. (Röda elit-böckerna ) 253 pp. Translated by Karl-Rune Östlund. E18.1. La dernière allumette. Paris: Jai lu, 2007. (Hard case crime 6) 313 pp. Translated by Gilles Goullet. E18.2. Un fiammifero di troppo. Milano: Mondadori, 2009. (Il giallo Mondadori 2975) 281 pp. Translated by Mauro Boncompagni. E19.1. Novelas escogidas. Madrid: Aguilar, 1962. (El lince astuto) 1224 pp. Translated by María del Carmen Vásquez, Teresa García, Inés Navarro, Antonio Gómez, and Maite Fernández. E19.2. Novelas escogidas. Madrid: Aguilar, 1963. (El lince astuto) 1225 pp. Prologue by Salvador Bordoy Luque. Translated by María del Carmen Márquez, Teresa García, Inés Navarro, Antonio Gómez, and Maite Fernández. Contents: El robo del sol (Plunder of the sun) -- La borla roja (The red tassel) -- Larga huída (The long escape) -- Para atrapar a un ladrón (To catch a thief) -- Las luces de Skaro (The lights of Skaro). E19.3. Novelas escogidas. Ed. mexicana. México: Aguilar, 1980. Translated by María del Carmen Márquez, et al. 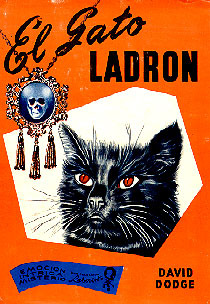 Contents: El robo del sol (Plunder of the sun ) -- Para atrapar a un ladrón (To catch a thief) -- Larga huída (The long escape). E19.4. Novelas escogidas. México: Aguilar, 1987. 714 pp. 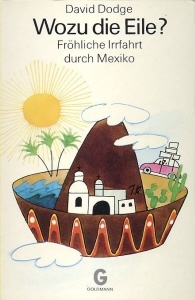 Translated by María del Carmen Márquez, et al.